Growing: Â To be able to save money when you want to buy marijuana seeds online, it is always better to buy seed packs especially if you have a certain preference in marijuana strains. Kannabia seeds have yet another new seed pack namely Sabor Mix which has 3 different marijuana strains. The strains included in this seed pack are known to be very famous and are the most preferred seeds b many growers. They are citrus, original berry and the domina haze. Know that growing Citrus is a good choice when you plan to grow marijuana seeds outdoors. It is able to have high yields that can reach up to 500 grams. As for Original Berry is also known for having high yields that usually reaches up to 600 grams. 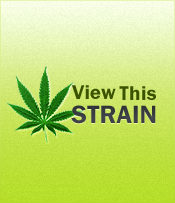 Domina Haze is a marijuana train that has a sturdy structure to support the many buds that it will be producing. Just like the previos two strains, Domina haze is able to have high yields.